A pinched nerve can be described as impingement of a nerve in the body. A pinched nerve can happen from muscle or tendon inflammation, bone issues, and subluxations in the back. With most pinched nerves, irritation in and around a joint can impinge nerves. Think of a pinched nerve like a pinched water hose. When the hose is pinched, water cannot flow freely out of the hose. When a nerve is pinched, just like the water in the hose, signals from the central nervous system to the certain body part are disrupted and cannot flow freely. Nerve signals that are disrupted can lead to several issues including unhealthy or dying nerve fibers in the body, which lead to pain, numbness, tingling, and other symptoms. Chiropractic care can help remove subluxations in the body to help improve nerve communication, and it can help your body heal naturally from other conditions that may be causing a pinched nerve. 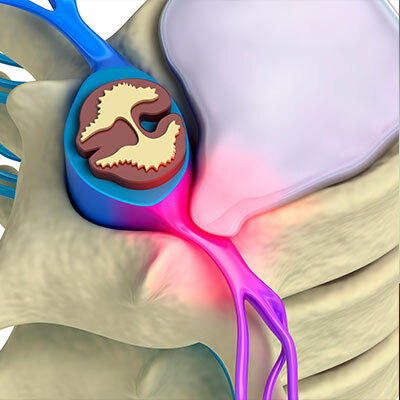 In fact, a chiropractor understands very well how nerves connect to the body from the back and how a minor subluxation can cause major problems. That's why the chiropractors at Zemella Chiropractic in Santa Barbara offer chiropractic adjustments in a comfortable and soothing environment. To learn more about how chiropractic care can help you recover from a pinched nerve, call Zemella Chiropractic in Santa Barbara at (805) 324-6500 to schedule an appointment for a consultation today.